Dr. Arthur DeCabooter was selected as the 2017 inductee into the prestigious Black Hawk College East Foundation Wall of Fame. 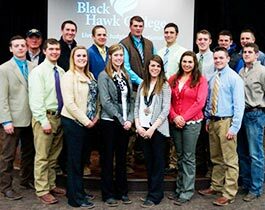 This special distinction is bestowed upon individuals who make significant academic, volunteer, and/or philanthropic contributions for the growth and development of the East Campus of Black Hawk College. Learn how you can help honor Art's legacy. The induction ceremony occurred in September at the Wall of Fame event held at the Black Hawk College East campus Lower Lounge and Dan E. Hoge Auditorium. We extend our congratulations to Art and gratitude for his contributions to education and specifically the Black Hawk College East campus. Former Black Hawk College East Campus vice president Dr. Arthur ("Art") DeCabooter will be honored for his leadership during the 1970s in creating the permanent Black Hawk College East campus between Kewanee and Galva and for initiating the highly regarded Horse Sciences as well as Ag and Auto Mechanics programs. “Art is a wonderful person who provided remarkable leadership for the East Campus during a period of strong growth,” said retired East business professor Carolyn Anderson of Cambridge, who worked closely with Dr. DeCabooter during his tenure at East Campus from 1971–78. In honoring Dr. DeCabooter, the East Foundation seeks to raise enough financial support to create an endowed scholarship in his name. Registration for the reception is $30, and sponsorships are available and encouraged. Learn how you can help honor Art's legacy. Art served as Dean of Students from 1971–73 and as vice as vice president of academic affairs and provost of East Campus from 1974–78. While at East, DeCabooter also served as president of the Kewanee Rotary, the YMCA, and Pilot House (now Abilities Plus). Later, Art served for 30 years as the president of the 15,000-student Scottsdale (Arizona) Community College, from which he retired in 2008. Although Dr. DeCabooter left Black Hawk College nearly 40 years ago, he maintained his affection for the college and the community. 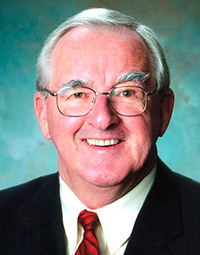 He supported East Campus through his work with the East Foundation. His philosophy of service is that each of us should set an example of giving and caring. He has done that, and we continue to benefit from it. We congratulate Art and his induction to the Black Hawk College Wall of Fame. In recognition for his achievements, the Black Hawk College East Foundation has established the endowed Dr. Arthur W. DeCabooter Scholarship which provides financial assistance to students. 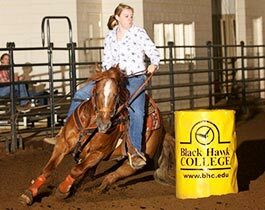 With your help, we can reach this goal and carry out Art's legacy by providing students with an exceptional education at Black Hawk College East Campus. Donate now and be sure to indicate your designation to the Dr. Arthur W. DeCabooter Scholarship. This endowed funded scholarship means that the interest earnings may only be used for student scholarships. There are various sponsorship levels available to support this scholarship. Pledges may be made over 1, 3 and 5 years—all gifts are tax deductible as allowed by law. Since 1992, the Black Hawk East College Foundation has inducted 28 individuals into its prestigious Wall of Fame. This distinction is bestowed on an individual or organization that has made significant academic, volunteer, and/or philanthropic contributions for the growth and development of the East Campus of Black Hawk College. A framed photograph of each inductee is displayed on the Wall of Fame at the East Campus.